Everyone with an iPhone, iPad, iPod, or Apple Watchhas an Apple ID. It’s essential to getting the most out of Apple’s services, including the iTunes Store, the App Store, Apple Music, and iCloud. 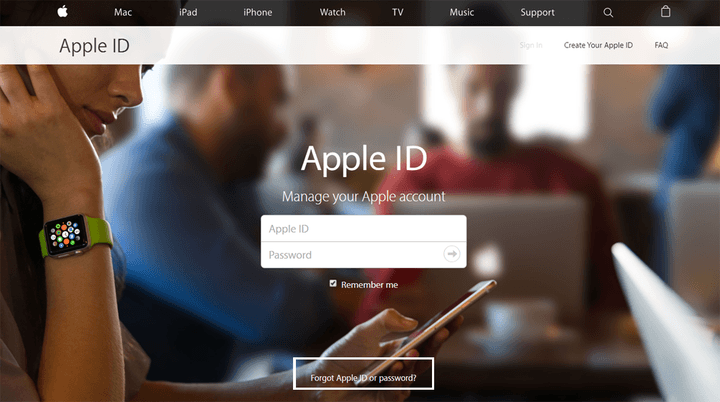 An Apple ID isn’t the only account with credentials you need to be keeping track of these days, however, and as such, there’s always the possibility that you may forget certain login information — like your all-important password. Thankfully, there’s no need to panic if you do forget your Apple ID password, as it happens to all of us from time to time. When it happens to you, there are steps you can take to reset your Apple ID password, all of which are pretty straightforward. There’s no way for Apple to simply tell you what your current password is, though, not even through email. 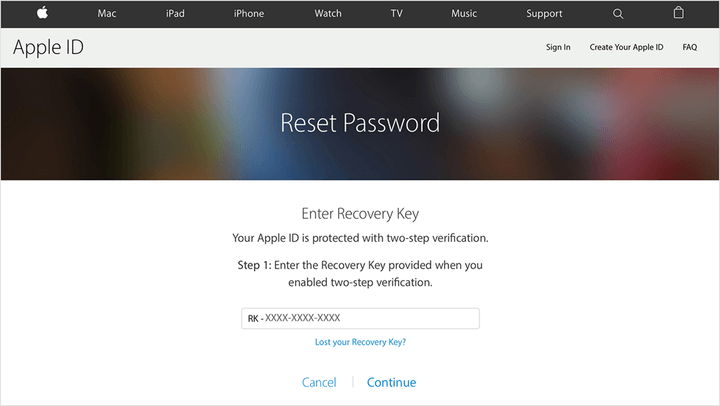 Instead, every method to deal with a forgotten Apple ID password involves resetting it completely. Here’s how. Once you get your Apple ID password reset, we have a guide to things you can do to make your iPhone safer. 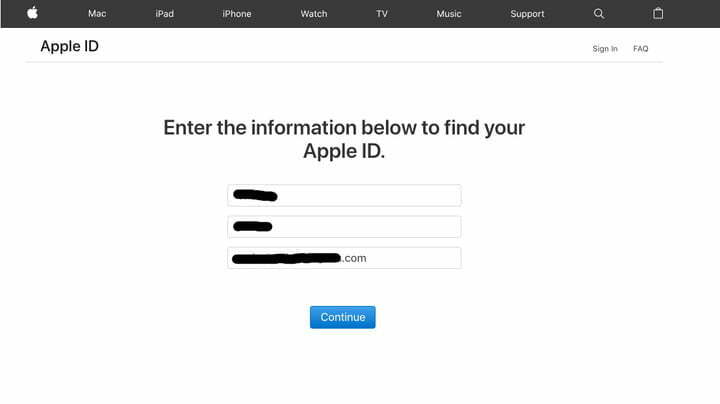 Step 1: To start, go to appleid.apple.com and click Forgot Apple ID or password in the center of the page. Step 2: You’ll be taken to a new page where you’ll have to enter your Apple ID or the email address associated with the account. Click Continue, then select I need to reset my password. Step 3: You’ll now be able to choose how you want to reset your password, whether it be through email or by answering a set of security questions. Which option you choose is really based on your personal preference. Step 4: Choosing the email method prompts Apple to send instructions to the primary email address you used to begin this process, or a rescue email if you decided to make one. You’ll know the email has been sent when you see the “Email has been sent” page with a large, green check mark. If you can’t find the email, be sure to check your Spam, Junk, and Trash folders, or repeat the steps above to have the email sent again. Going with the security questions requires you to confirm your birthday and answer the aforementioned questions before you’re able to create a new password. If you forgot your password, answering security questions is one of the quickest ways to get back into your account to make changes. After all, only you — or someone who knows you really well — would know the answers to questions like “Who was your favorite teacher,” But what if you forgot the answers to your security questions? Memory is a flimsy thing — just see any of the various studies on “flashbulb memories” — and it’s entirely possible that, although the present you remembers that your favorite band in high school was Green Day, but two years ago, you were convinced your favorite band was Fountains of Wayne. 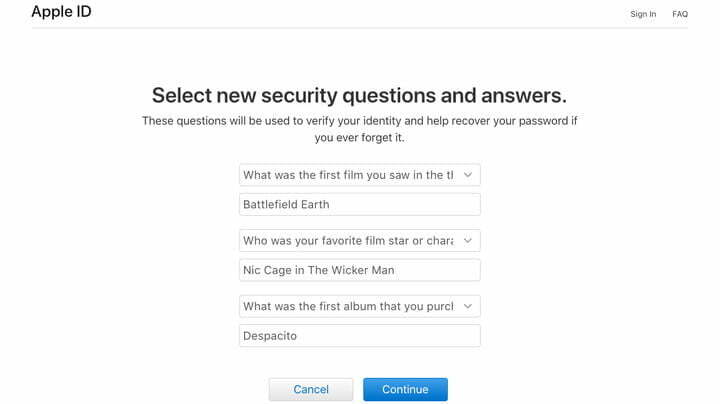 In the event you forget your security questions, changing them is a simple process. First, go to iforgot.apple.com and enter your Apple ID. Select I need to reset my security questions and click Continue. Enter your password, then click Continue. Choose three questions from the drop-down menus, and provide answers (hopefully ones that only you would know). If you set up and enabled two-factor authentication— which is different from two-step verification — resetting your password will be even easier, as you’ll be able to reset your password directly from your trusted iPhone, iPad, iPod Touch, or from the Apple ID account page. If you’re unsure if you have any trusted devices, don’t be; when you set up two-factor authentication, you created trusted devices. All iOS devices will also need to have a passcode enabled. Step 1: Go to Settings > [your name] > Password & Security. Step 2: Tap Change Password. Step 3: You will be asked to enter your passcode, and then you can enter your new password. Step 1: Go to iforgot.apple.com and enter the trusted phone number you submitted when you set up two-factor authentication. Step 2: Choose Continue to send a notification to your trusted iPhone, iPad, or iPod. Step 3: When you receive the notification on your iOS device, tap Allow. Step 4: Follow the provided steps, enter your passcode, and reset your password. If you don’t have your trusted iOS device nearby, you’ll still be able to reset your password by requesting an Account Recovery. This is best used when your device has been lost or stolen, and you want access to your account while simultaneously denying access to anyone trying to impersonate you. This process could take a few days, however, depending on how much information you provided to prove your identity. 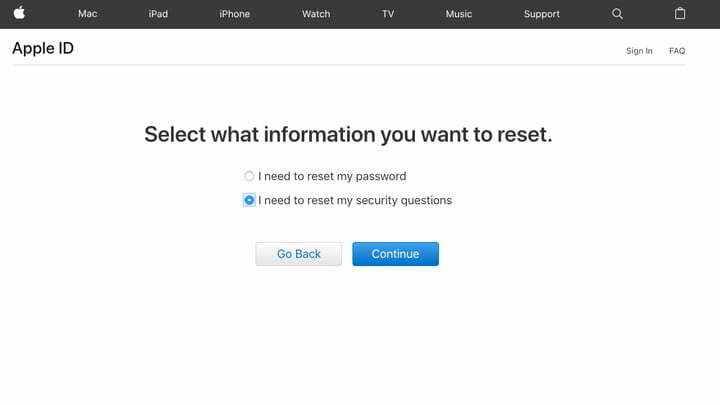 Step 1: While going through the steps to reset your password on iForgot or iOS, you should see an option to Request Account Recovery. Step 2: Enter a number where you can be reached when your account is ready, then enter the sent verification code to verify your information. After verification, you’ll receive a confirmation that your request has been received and you’ll be contacted when your account is ready. Step 3: After some time, your account will be ready and you’ll be contacted via a text or phone call. Step 4: Go to iforgot.apple.com, enter your Apple ID, and confirm the number you used in step two. Step 5: You’ll be sent an Account Recovery code via a text or phone call, which needs to be entered in the provided field on iForgot. Step 6: Click Continue, and you’ll be taken to a new page where you can make a new password, verify your trusted phone number, and sign in. If you were using two-step verification when you forgot your Apple ID password, you’ll need a trusted iOS device — made when you first set up two-step verification — and your Recovery Key to reset your password. Step 2: Choose a trusted device to receive a verification code. Step 3: Enter the provided verification code. Step 4: Create a new password, then select Reset Password. After you’ve reset your password using any of the methods detailed above, you’ll be prompted to sign in again with the new password. You may also need to sign in with the new password on Apple’s various services, including iTunes, the App Store, iCloud, and Find my iPhone. You can find the steps to do so for all the services that require it on Apple’s support page.